I walked into the bathroom and found my daughter in this position. 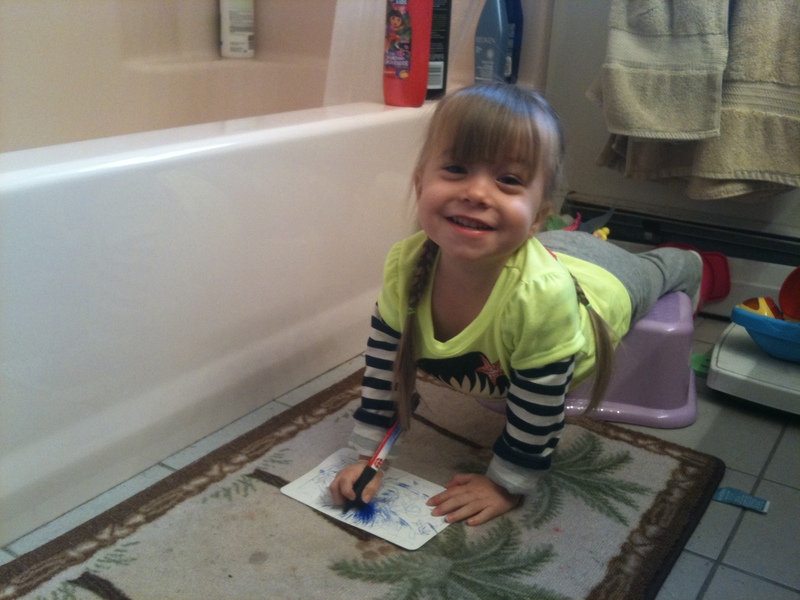 When I asked her what she was doing she said,”Coloring and practicing my ‘ynastics’ (her plank position for gymnastics). What a go-getter, learning to multitask at such a young age!